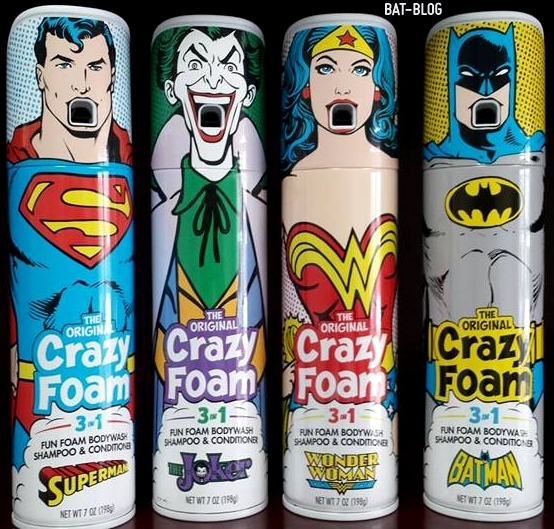 BAT - BLOG : BATMAN TOYS and COLLECTIBLES: #BATMAN Collector News - #DCCOMICS SUPERHERO CRAZY FOAM is Back!! 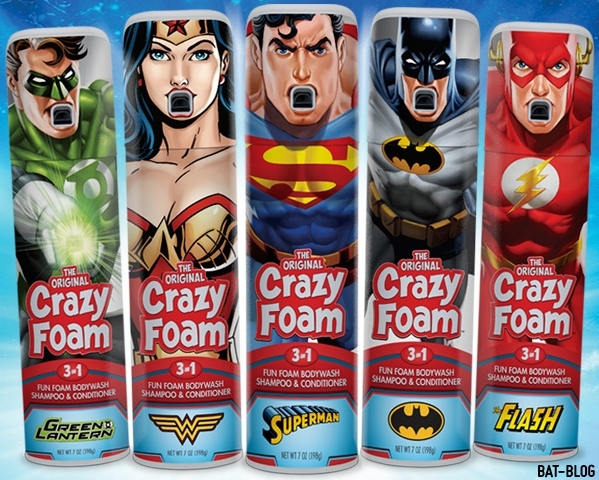 #BATMAN Collector News - #DCCOMICS SUPERHERO CRAZY FOAM is Back!! For those of us who grew-up in the 1970's we will all probably know about a product called "Crazy Foam". I remember it well and totally loved it! It was a great product for parents to buy to trick their kids into taking a nice long bath, ha ha! Well, it's back in stores NOW!! It's not made by the same company, but a brand-new one bought the rights and they're going crazy with it (excuse the pun)! They have 2 different sets which include Batman: Original DC Comics Superheroes and Justice League (both shown up above). I really like how that one set has a "retro-feel" and ya gotta love that Joker! The CRAZY FOAM website says you can fine this product at Kroger's Grocery Stores but I have heard a rumor that some people have found them at WalGreens. But, I have not been able to find any anywhere. If anyone sees them around please let us know where ya got them. Oh yeah, check out their TV Commercial! !